Close your eyes. Embrace perfumes and ancient fragrances. Caress with a velvet touch... and surrender yourself. Chamomile, Nettle, Watercress, Almonds, Hibiscus Flowers, Maidenhair and Citrus. Open your eyes again and, intoxicated by all of this, fill your vision with colors, shades and hues. It is the Mediterranean that, with its splendour, its flora and sea water, inspires our line of hair care treatments. Hair loss prevention shampoo based on Oceanic Marine Water and Symhair® Force 1631 Extract from Microalgae. 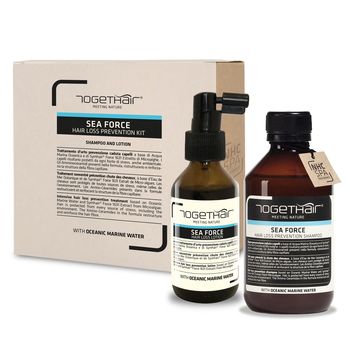 Intensive hair loss prevention lotion based on Oceanic Marine Water and Symhair® Force 1631 Extract from Microalgae. Rebalancing shampoo for greasy hair based on Nettle, Maidenhair Fern and Watercress. Exfoliating scrub based on EcoCert 100% biodegradable Rice Bran Wax. Detoxifying mud for greasy hair based on Ventilated Green Clay, rich in purifying minerals. 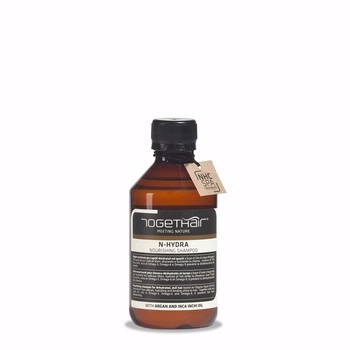 Purifying shampoo for hair with dandruff based on Nettle, Cohosh and Milk Thistle.